Fresh Defined aims to distill an underlying critcial issue for the entire global fresh fruits & vegetabes trade. The concept of Freshness is one of the most debated and most misunderstood concepts within the produce industry. Does 'fresh' mean the apple has just been plucked from the tree? Does 'fresh' mean the kiwifruit has just been released from its Controlled Atmosphere storage facility where it had been slumbering for three months before taking its turn on the market shelf ? Does 'fresh' mean the sweet potato or kumara has just been dug or it was just taken from its storage pit where it had been placed 6 weeks ago to await further processing? We have a strange relationship with 'fresh'. Walking through an orchard and taking a few cherries off a tree for immediate consumption - that is fresh. Or is it? What about if the cherries off the tree are already past their prime on the day I am walking past picking them? Are they still 'fresh'? Or what about apples which have been treated with a chemical compound that extends shelf life to around a year or more, depending upon variety? We may not give much thought to the freshness concept on a day to day basis, but it does influence the consumer mindset and does influence shopping behaviour at a greater level than we might realise. One of The AgriChain Centre's young fruit scientists came to this conclusion in a paper she wrote a couple of years ago for a presentation at an International Society for Horticultural Science conference. "Due to the perishable nature of fruit, time is always a constraint throughout the chain.The underlying function of the value chain is to get fresh fruit to the consumer in a good quality state, so that they want to buy it. The consumer associates time with the concept of 'freshness'. Historically time and freshness were directly correlated but now, due to advances in post harvest technology, the natural ageing process can be interfered with to give the appearance of freshness, even after long storage periods. Now 'freshness' is more related to quality than time and can be maintained by using effective post harvest management. Post harvest management is all about avoiding the inevitable - ageing of the product." So if Rosanne is correct in her statement that freshness these days is quality rather than time related - and I, for one, believe that she is indeed correct - what does that mean in terms of the requirement for consistency? Fresh Defined enough for your liking? 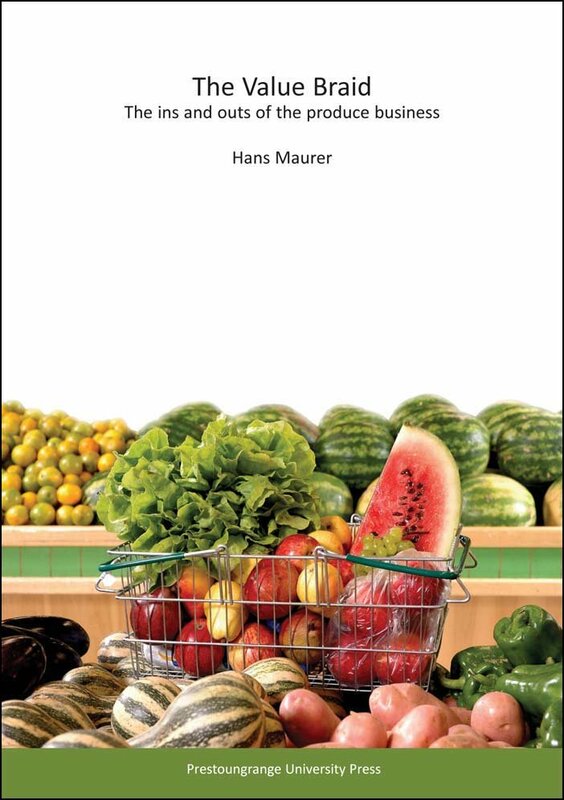 Or if this wetted your appetite, the Fresh Defined comments on this page are an excerpt from The Value Braid, The Ins and Outs of the Produce Business.